The Powder Pack Genus March 2019 Edition is released and pre-orders are closed! You’ll get a set of lashes, glossy eyeshadows with and without eyeliner and lipgloss from Izzie’s and many other makeup and skin appliers sets from 11 other brands (see pic below). 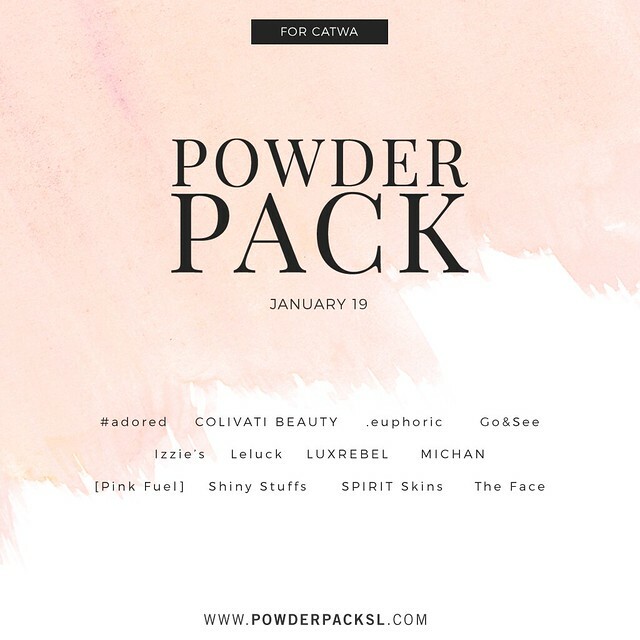 The Powder Pack Catwa January 2019 Edition is released and pre-orders are closed! 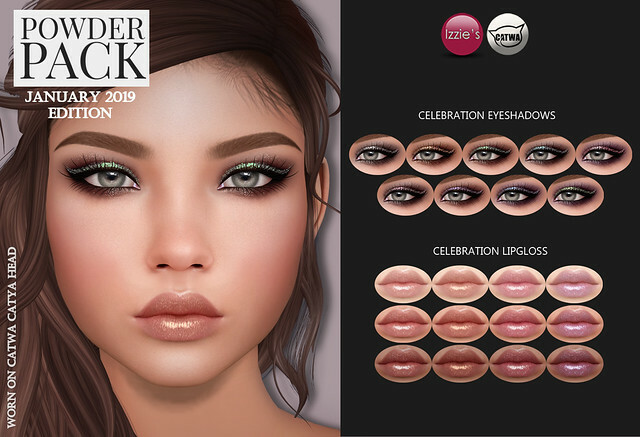 You’ll get a set of Celebration Eyeshadows and Celebration Lipgloss from Izzie’s and many other makeup and skin appliers sets from 11 other brands (see pic below). 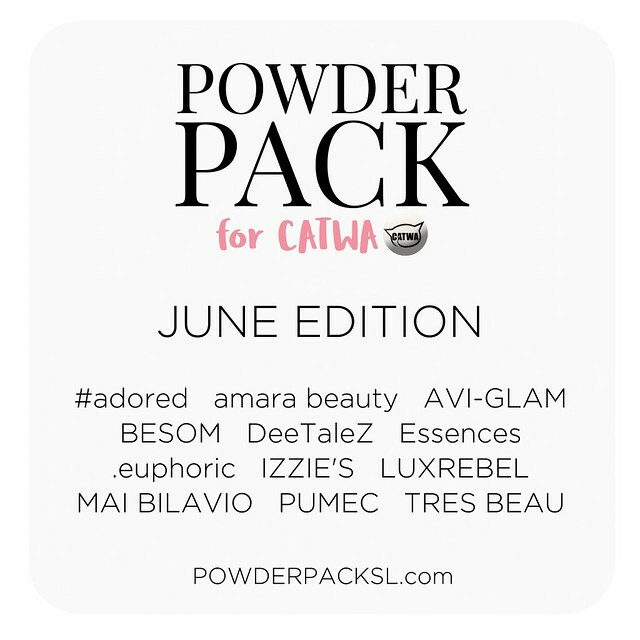 The Powder Pack Catwa June 2018 Edition is released and pre-orders are closed! 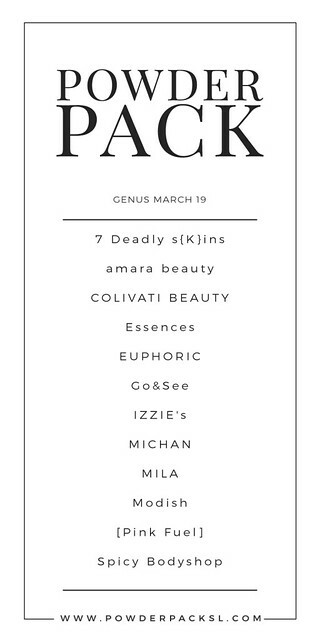 You’ll get a set of holo eyeshadows and holo lipstick from Izzie’s and many other makeup and skin appliers sets from 11 other brands (see pic below). 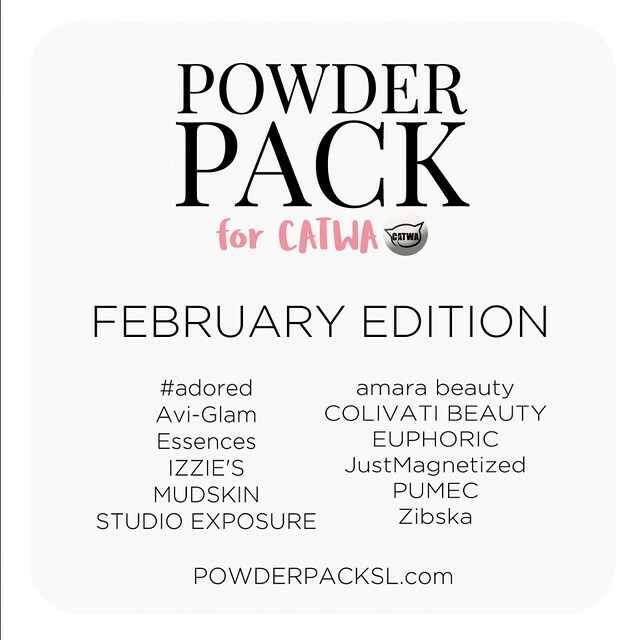 The Powder Pack Catwa February Edition is released and pre-orders are closed! You’ll get a set of eyebrows, eyeshadows and natural lips from Izzie’s and many other makeup and skin appliers sets from 11 other brands (see pic below). 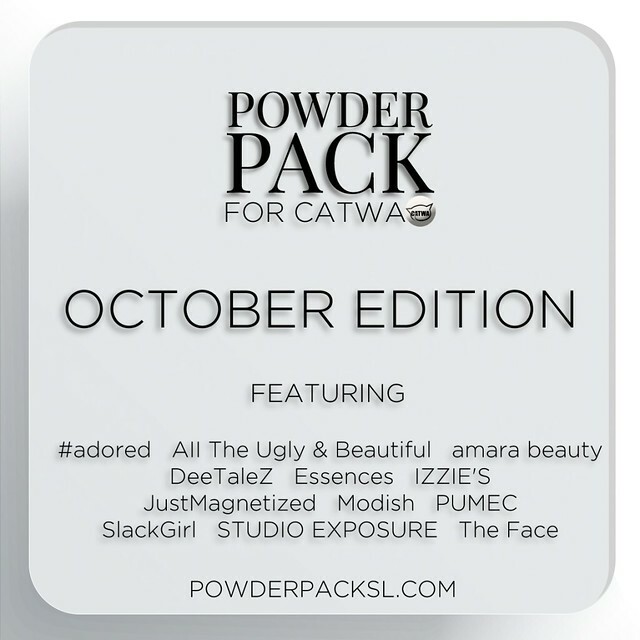 The Powder Pack Catwa October Edition is released and pre-orders are closed! You’ll get a set of zombie eyeshadows, eyes and lipstick from Izzie’s and many other makeup and skin appliers sets from 11 other brands (see pic below). 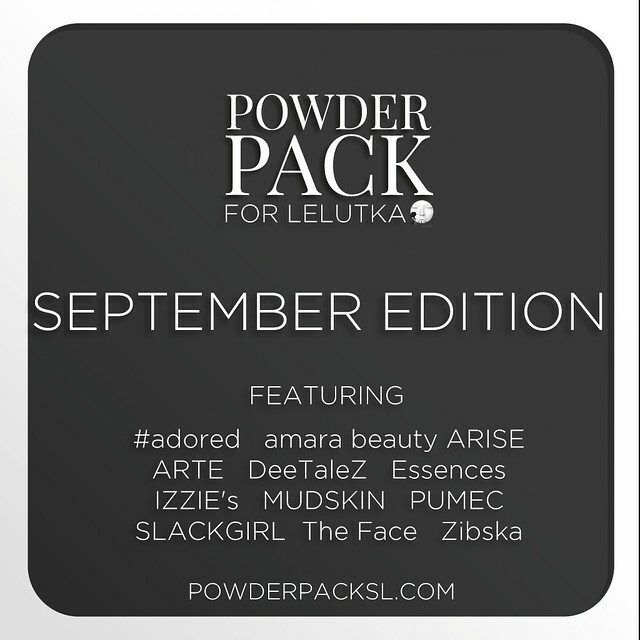 The Powder Pack LeLutka October Edition is released and pre-orders are closed! 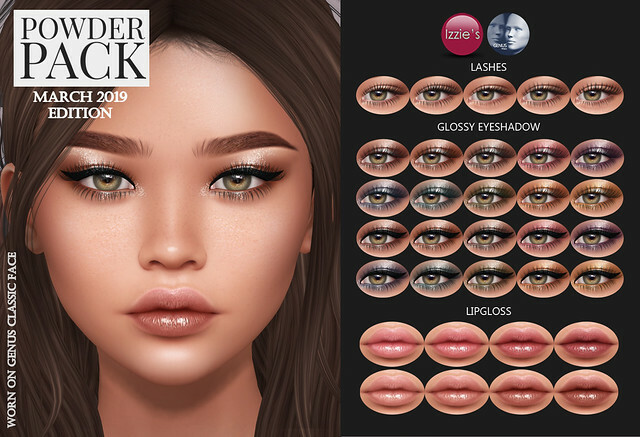 You’ll get a set of eyeshadows, eyes and lipstick from Izzie’s and many other makeup and skin appliers sets from 11 other brands (see pic below). The Powder Pack LeLutka Septmber Edition is released and pre-orders are closed! You’ll get a set of eyebrows, eyes and lipgloss from Izzie’s and many other makeup and skin appliers sets from 11 other brands (see pic below).